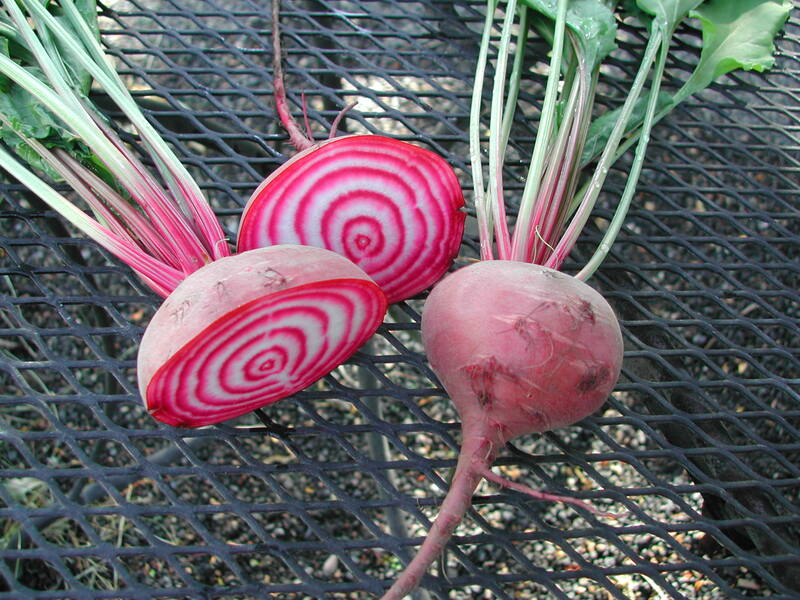 An Italian heirloom, with light red roots and alternating red and white rings on the inside. 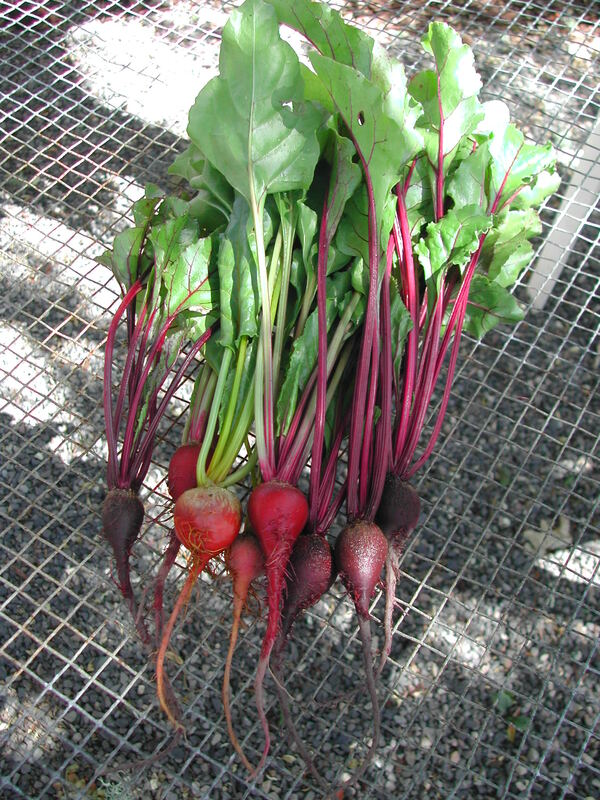 Leaves are green with redish stems. 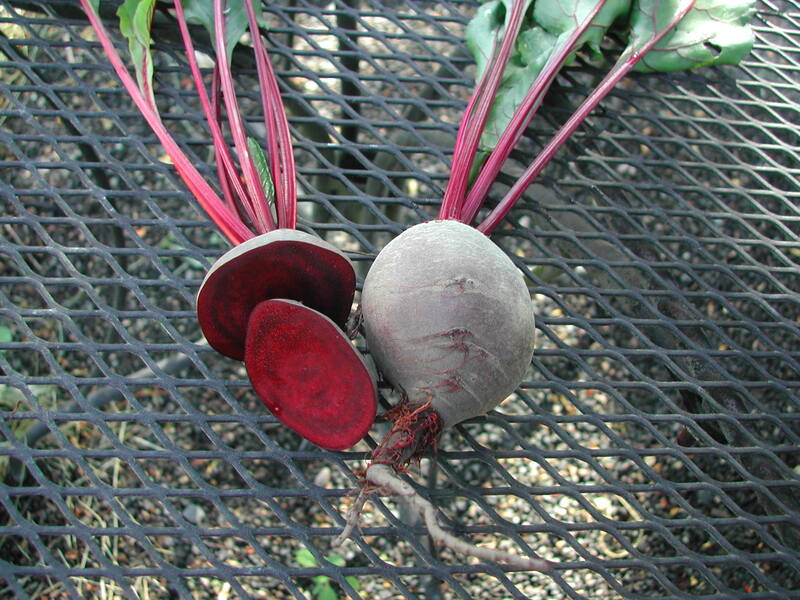 A rich, dark red heirloom beet, introduced in 1892. The green leaves have dark red veins. 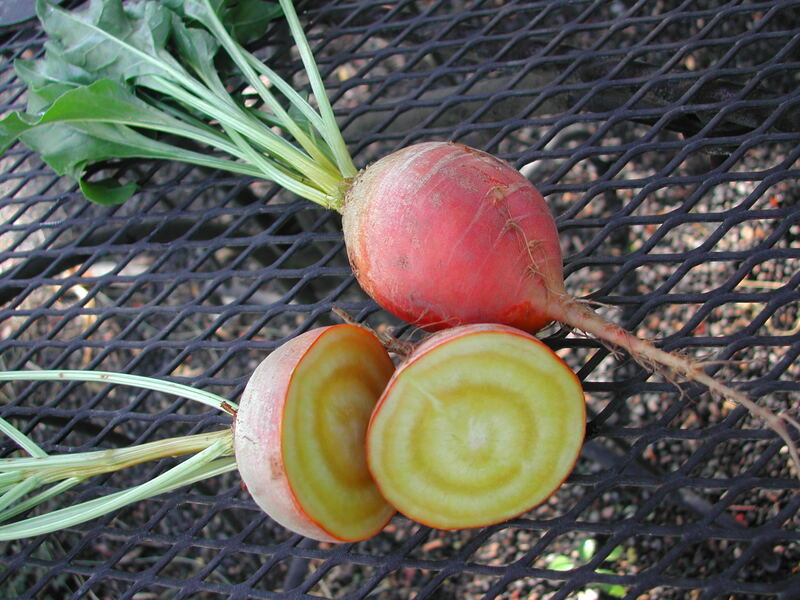 A sweet, gold beet, with orange skin. Leaves are green with gold veins.